Peacefully, at the John M. Parrott Centre in Napanee, on Wednesday, August 29, 2018. 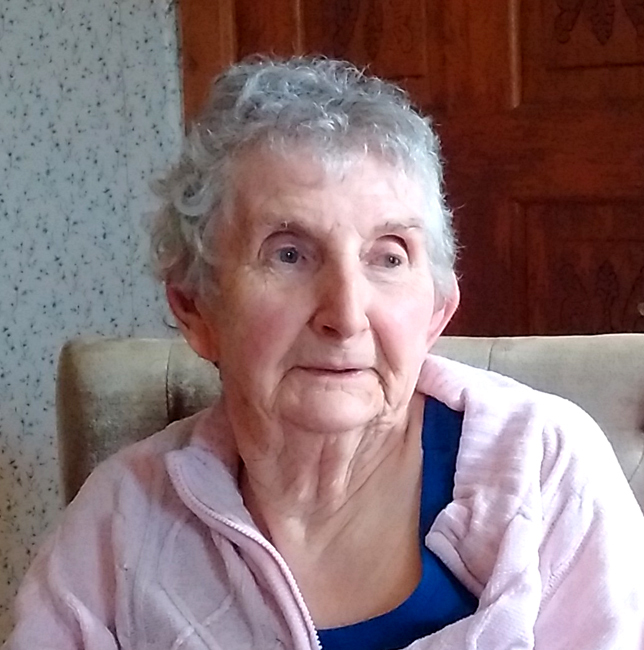 Pearl Irene Flanagan (nee Palmer) of Erinsville at age 90. Beloved wife of the late Wilfred Flanagan and dear mother of Ted; Eleanor Lott (late Larry); Louise; late Peter; Irene; Noreen; Sonny; Brian; Bill; and Sean. Grandmother of Wayne; Tanya; Tracy; David John; Ronnie; Jody; Jamie; Melissa; Jordan; Kaitlyn; Bobbi; Corey; Luke; and Dennis. Great-grandmother of Rio; Devin; Parker; Hunter; Abigail and Skylar. Sister of the late Anne Shannon; Mary Stadnick; Peter Palmer and Jean Tisdale. A Memorial Mass will take place at the Church of the Assumption in Erinsville, on Saturday, September 8 at 2:00 p.m. Interment Assumption Cemetery. In the care of HANNAH FUNERAL HOME, in Tamworth. (613-379-2997).